Download "Your story must fit into the Mystery and Imagination genre. Remember that blood and gore is not something that is spooky." 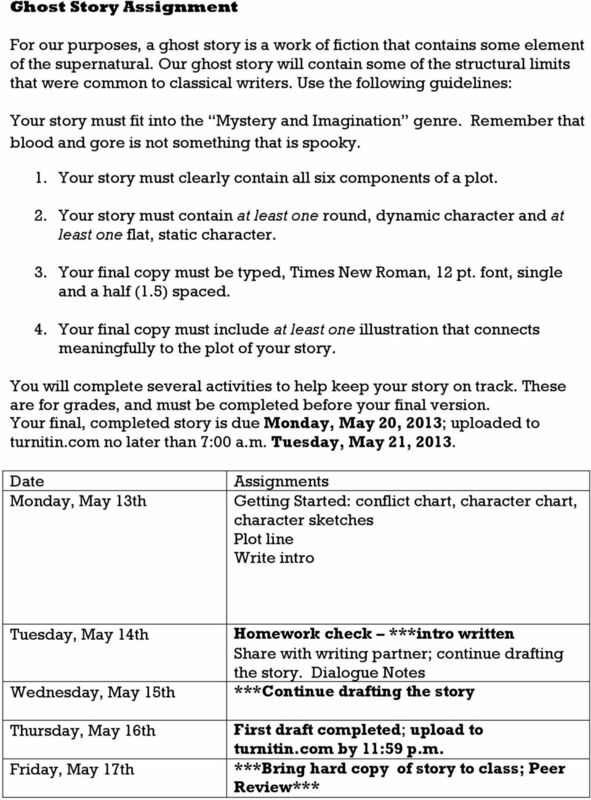 2 Date Monday, May 20th Tuesday, May 21 st Wednesday, May 22 nd Thursday, May 23 rd Friday, May 24 th Assignments Peer revisions continue; Prepare final draft; upload to turnitin.com by 7:00 a.m. Tuesday morning. Bring hard copy of final draft to class; oral presentations begin. Oral presentations continue Oral presentations completed Awards presented Getting Started 1. Choose an idea for a suspense, horror, mystery, or fantasy story. 2. Brainstorm a list of five possible protagonists for your story. For each one, include a list of at least three minor/supporting characters. a. b. c. d. e. 3. Next, come up with an antagonist a person, force, event, animal, etc that will try to prevent your protagonist from reaching his or her goal. List three potential antagonists and some other minor characters that could be considered antagonists. a. b. c. 4. 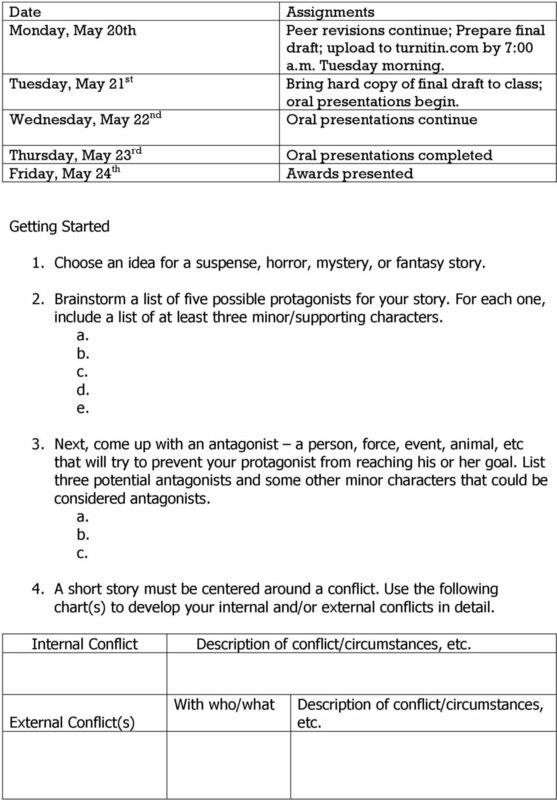 A short story must be centered around a conflict. Use the following chart(s) to develop your internal and/or external conflicts in detail. Internal Conflict Description of conflict/circumstances, etc. External Conflict(s) With who/what Description of conflict/circumstances, etc. October 16, 2013. Journal: What do you remember about Romeo and Juliet and the prologue from last quarter? 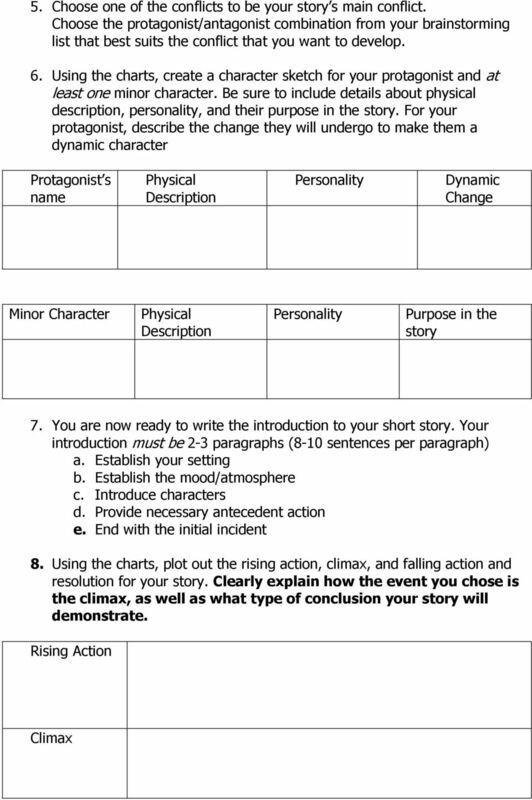 Elements of Fiction packet, copies of A&P, by John Updike, Double-Entry Diary, assessment overview for students, paper, and pencils. The Best Book I Read This Year Essay Contest! 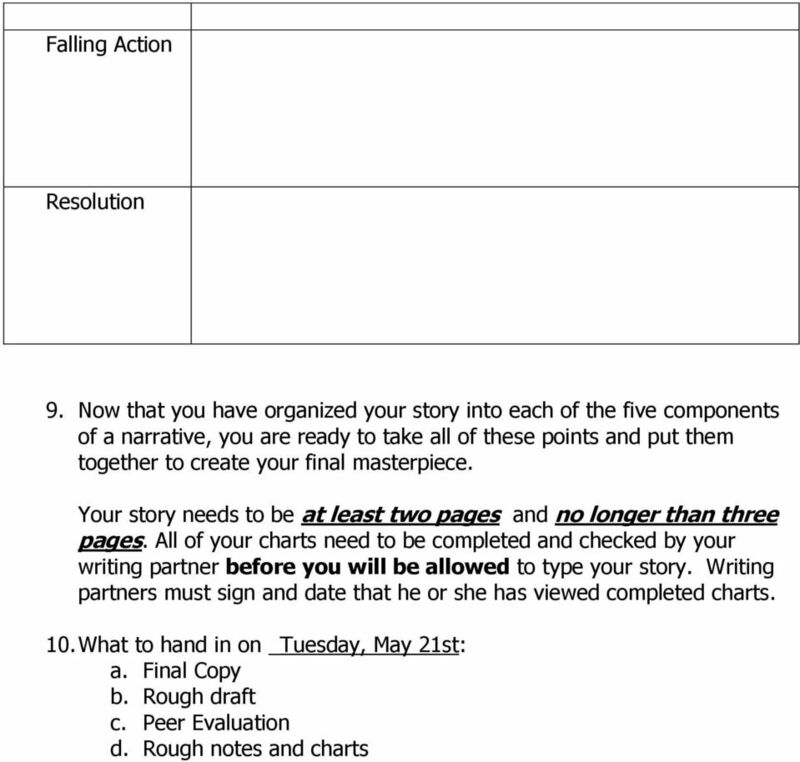 COMMON CORE STATE STANDARDS WRITING RUBRICS Grades 9-10 Prevent Plagiarism. Engage Students. www.turnitin.com Thank you for your interest in the Turnitin Common Core State Standards-aligned writing rubrics. 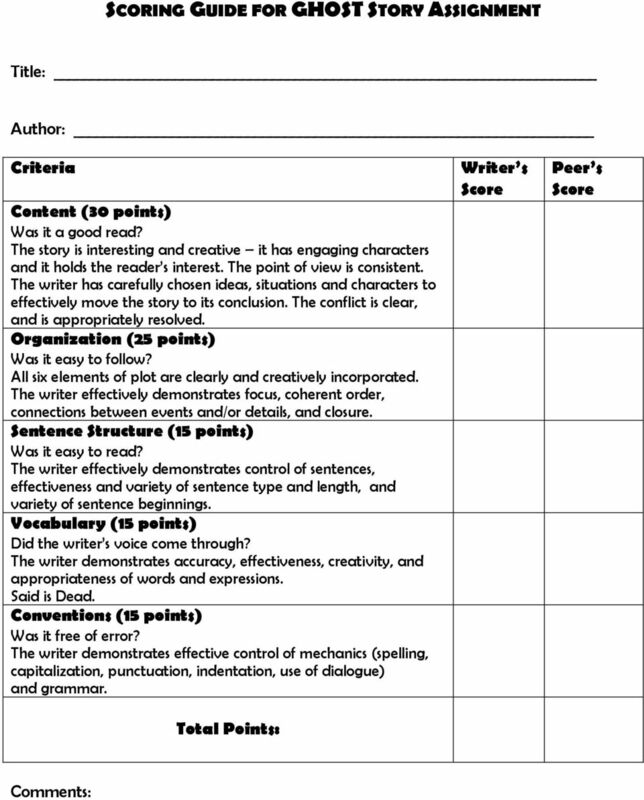 COMMON CORE STATE STANDARDS WRITING RUBRICS Grades 11-12 Prevent Plagiarism. Engage Students. www.turnitin.com Thank you for your interest in the Turnitin Common Core State Standards-aligned writing rubrics. How to Write the First Draft of a Short Story in 60 Minutes or Less!